All lessons are conducted in a modern, air-conditioned manual Mazda 2 with dual controls for added safety or a automatic Suzuki Swift. 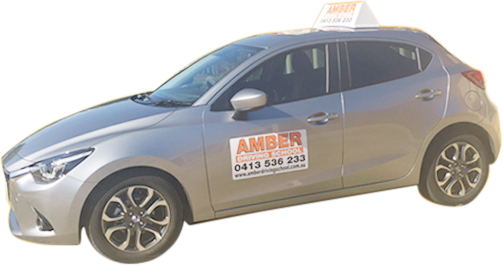 As everyone has different needs,Amber Driving School offers lessons by the hour,hour and half or two hours.We also offer discount on 10 lessons when booked and paid for in advance. Payment can be made in either cash or cheque. Amber Driving School has a 24 hour cancellation policy,late cancellations will incur a fee. For all new pupils Amber Driving School offers various discounted incentives throughout the year.